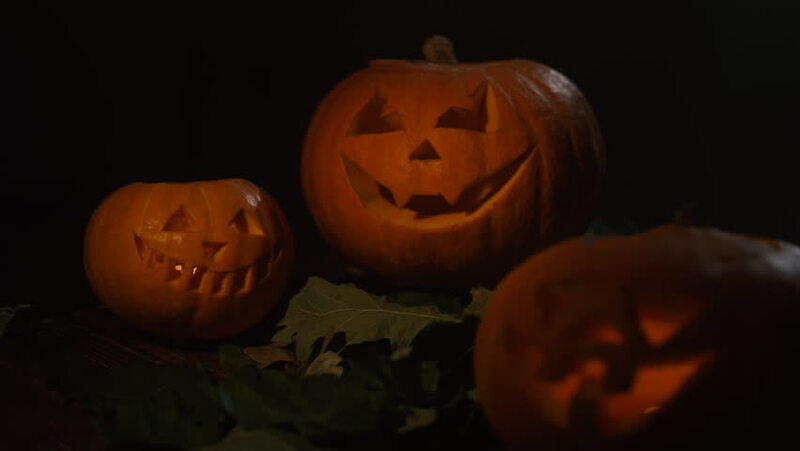 hd00:15Glowing candles surround a spooky Halloween jack o'lantern. The ominous holiday scene embodies the spirit of Halloween, the supernatural, paranormal, trick or treating and halloween parties. hd00:15Scary carved halloween pumpkin. The big helloween pumpkin has a mad face with glowing eyes and also a glow in its mouth and teeth. 4k00:17Pumpkin Jack o Lantern on Door Step.